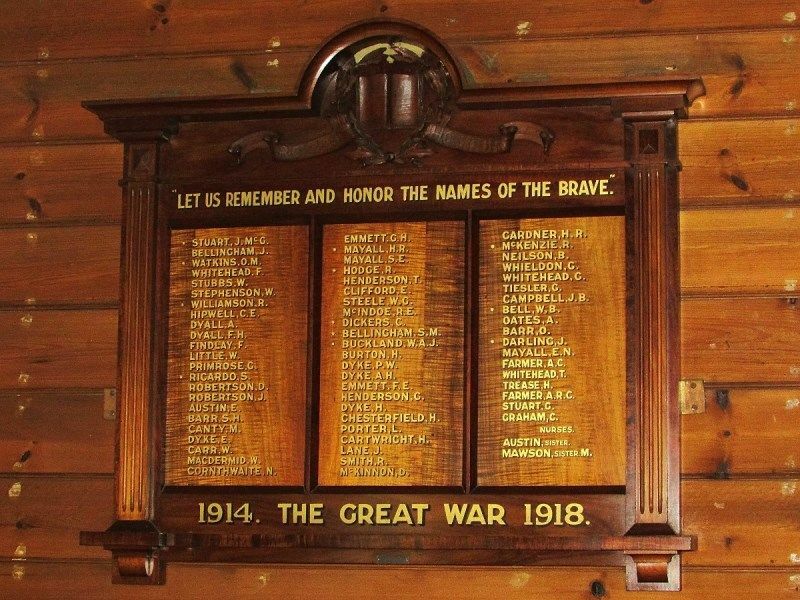 The wooden honour roll commemorates those from the church and district who served in World War One. The roll was originally unveiled in 1917 with additional names being added at a later date.
" LET US REMEMBER AND HONOR THE NAMES OF THE BRAVE." 1914. THE GREAT WAR 1918.